The Kahlo 2 blends two popular MTI designs, the Andrea and the Metro. Simple, clean lines plus extended ledge for mounting fixtures. 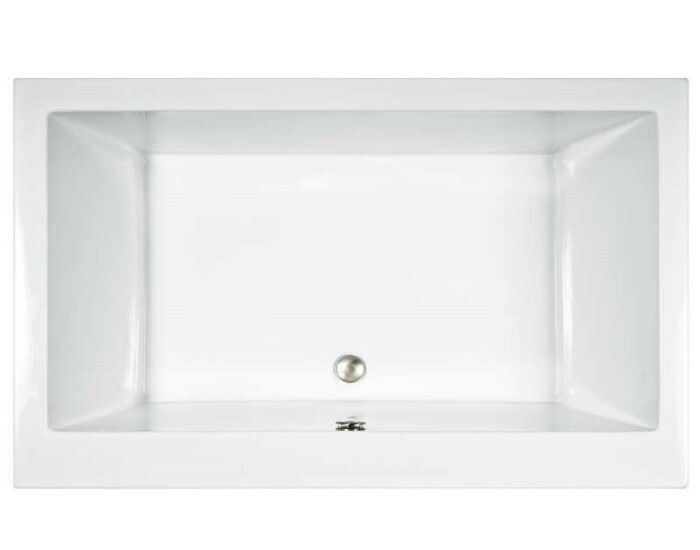 The center drain with two backrests provides the option of two bathers. Flat rim for drop-in or undermount application. Choose your perfect bath: Soaking Tub, Heated Soaking, Stream Bath, Microbubbles, Air Bath, Whirlpool or Combo Whirlpool-Airbath. Tub Size: 66" x 36" x 19.5"